2016 is almost over, friends, and it’s time to do a round up of my favorite products of the year. These five beauty products pretty much defined my routine in the past year, even though there were lots of other products I loved, so I decided to focus on these. I can unreservedly recommend all of these products, so without further ado…! The Fresh Seaberry Face Oil was reliably a part of my routine from the summer up till now. It’s a thin moisturizing oil that sinks in swiftly without leaving a greasy feeling. I love how it makes my skin feel the next morning — super plump, glowy, and smooth. I used it even in the summer/fall because it’s light enough and adds a little extra oomph to my moisturizer without feeling heavy. Now in the winter, a couple drops helps smooth out any flaking or dehydration in my skin. This is a trial size (15ml). I’ve used it for about 5 months and I’m only halfway through the bottle. You can buy small sample sizes on Ebay if you want to try it out! Joan over at Kinseng.org turned me onto the Papa Recipe Bombee Lotion earlier this year and I’ve almost made it through the entire (very generous) bottle. It’s a light creamy lotion that feels very light but quite moisturizing for how light it is. Unlike gel creams, this one doesn’t leave a siliconey layer on my face, so I can use it as either a last step moisturizer, or as an emulsion under my cream. It’s so versatile that I’ve used it from summer till now. It’s also unscented and never clogs my pores, so would be suitable for sensitive skin. I can also turn up the richness by adding a bit of oil if I want a featherlight moisturizer that is nonetheless highly protective and moisturizing. See my more detailed overview of the product here. 2016 is the year I discovered Stratia Skin, an indie skincare company founded by one of the long time members of our little Asian beauty community. Liquid Gold is a moisturizer that repairs and protects damaged and dehydrated skin. It has seabuckthorn oil in it as well as ceramides, cholesterol, and fatty acids in it to nourish and moisturize skin. I love that this never stings when my skin is extra dry, and I always turn to Liquid Gold when my skin is feeling extra sensitive or damaged. It leaves my skin feeling healthy and smooth. It’s another very versatile product that can be used under a moisturizer, or on its own. I love the high quality ingredients (backed up with science) that Alli uses in her formulations, as well as the care she takes choosing the packaging (this pump bottle dispenses the perfect amount of product). At $24 for 60ml, this is also a great value! See my full review here. I really like having a first essence in my routine. This watery toner-like product delivers a fresh dose of hydration to my skin and seems to help my skin absorb other products better. 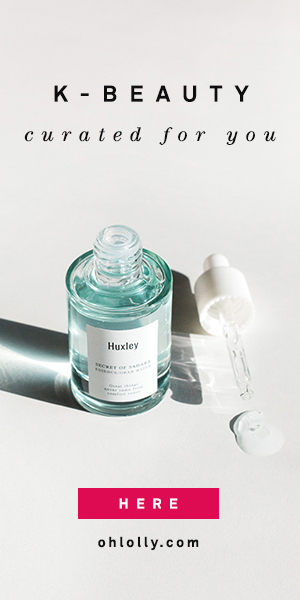 The Secret Key version isn’t a miracle product in that it doesn’t seem to treat pimples, brighten my skin, or do anything mind-blowing, but it quietly delivers soothing hydration and boosts other products used after it. I go through first essences fast (this bottle will last me 2 months…and it’s my third bottle), so it helps that the Secret Key essence is so affordable. I usually buy it from BeautyNetKorea for around $13 with free shipping. If there are negative reviews of PurpleTale’s Ode to Hydration Cream, I haven’t seen one yet! Everyone seems to love this medium weight, highly soothing and moisturizing cream, especially people on the drier side of the skin spectrum. I used this as a transition cream between late summer to early winter, and it was perfect — never clogged my pores, provided ample moisture without suffocating my skin, and mixed easily with the Fresh Seaberry Oil if I needed more moisture. It’s priced reasonably at $30 for 50ml too. I finished the whole jar of this, which is pretty amazing for me as I tend to get bored with creams and often move on before I finish, so that in itself says a lot! My full review is here. Overall, these five products formed the backbone of my routine over the past year and I would recommend any and all of them. I would not hesitate to repurchase any of them (and indeed already have). I tend to have a strong desire for novelty, but the fact that I’ve stuck with these products for several months speaks a lot to their quality. I am, however, pretty excited to see what products will become my favorites of 2017! Happy New Year everybody!